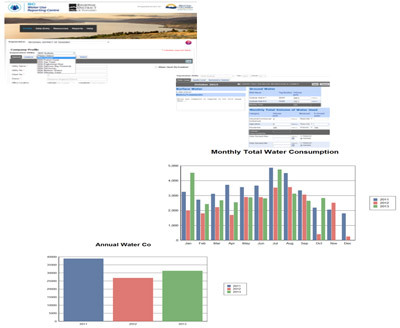 The BC Water Use Reporting Centre is a simple web-based system designed to help utilities, water purveyors and large water users regularly record their water use. Water usage data is entered and securely held in an easily accessible online system. When reporting is required, a click of a button will produce ready-to-print reports as well as monthly and annual graphs and tables. In 2011 the Okanagan Basin Water Board (OBWB) launched the BC Water Use Reporting Centre (WURC) in partnership with the Province of BC and Environment Canada. The OBWB was looking for a tool to assist water providers with the vital purpose of managing water supplies in their area, in order to do this they needed a universal system to manage water data with an ongoing record of how much water was actually being used. To meet this goal WURC was created. The WURC is a huge success in the Okanagan basin and, as of March 2013, is used by all three Okanagan regional districts and 70% of water utility providers and purveyors. The Regional District of Nanaimo is looking to implement the productive and useful online system to better manage our water resources within the region. "Government will require all large water users to measure and report their water use." "Reporting water use makes sense. You can't manage what you don't measure." 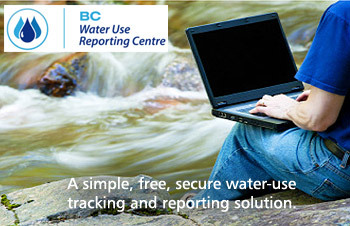 The BC Water Use Reporting Centre can be utilized for free by all BC water license holders within the Regional District of Nanaimo.